One of the most intimidating tasks for a shooter is selecting the right target ammunition for their guns. A casual look through your gun trader’s catalog might send you reeling, as most of them feature a dozen or more pages of ammo for sale. Manufacturers release loads of different ammunition into the market each and every year, and every release is different from the rest in its own way. With such a wide variety of ammo on the market, it becomes quite challenging for the ordinary shooter to choose the right ammunition for target practice. The fact that bullets with different weight, velocity, and projectile type are in the same rifle doesn’t help the situation. Lucky for you, here’s a guide on what to consider when picking ammo for target practice and sports. Here’s the breakdown. When choosing bullets for target practice, pay close attention to the amount of lead they will release when shooting. Significant amounts of lead can have adverse health effects. It’s especially risky if you practice in a confined shooting range or bunker. The good news is that most ammo manufacturers today are producing target shooting bullets that minimize lead exposure. For instance, Total Metal Jacket (TMJ) ammo, comes with a covered base to reduce lead emission. With this modern ammo, you will still get to enjoy the solidity of Full Metal Jacket (FMJ) ammunition, but without the hazardous lead exposure. The weight of the bullet you use for target practice is not much of a concern if you shoot for leisure. 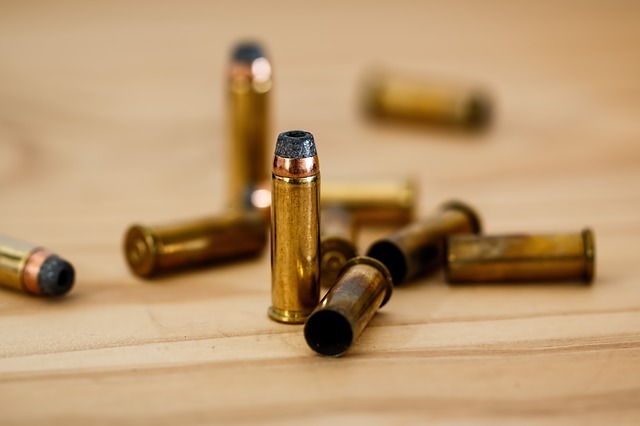 However, if target practice means preparing for the real thing, you should consider choosing a set of target ammunition that offers the same penetration and impact as the ammo you’ll otherwise use. That will make your target practice more meaningful and help you prepare for actual shooting competitions. Generally, light ammunition generates a violent expansion due to its high velocity but delivers a lower degree of penetration. On the other hand, heavy rounds create less expansion than their light counterparts but have maximum penetration. The choice here depends on what you treasure most. If you use a shotgun for target practice, you should probably consider using lightweight rounds that are 7.5 shot or less. If your practice targets are steel, do not use hollow point ammo. These bullets will put you and those around you at the risk of shrapnel ricochet –- which can be fatal. In such gun ranges, you should use rounds that are copper powder instead of those with lead cores. Copper-powder bullets are highly frangible and completely break up the moment they hit the steel targets. Before heading to the range, see what type of ammo they allow. Choosing extremely powerful or expensive ammo won’t be a wise move if you are only shooting for fun. These options will limit your shooting practices since you probably won’t get bulk ammo at a friendly price. In addition, with powerful bullets comes harsh recoil, which will definitely ruin your shooting experience. If you are using a shotgun for your target practice, go for lightweight shells. Anything below 7.5 shots is appropriate and affordable for target shooting. If you are using a rifle or a handgun, go for rounds that have an FMJ projectile. Such bullets come in the form of soft lead cores enclosed in metallic shells. They require less manufacturing than their hunting and self-defense counterparts, making them cheaper and more appropriate for practice. Last but not least, consider the amount of recoil generated by your ammo. Since target practice involves shooting several rounds repeatedly, you might want to buy ammunition that doesn’t produce a lot of recoil force. 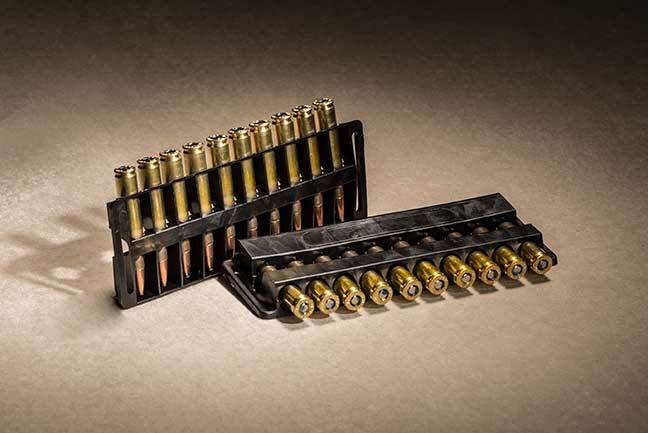 Small bore magazines are the best in this regard, especially if you use a handgun or a rifle. Magnum loads generate the highest amount of recoil, so you want to stay away from them unless you can handle them. If you are keen enough, you might have noticed that most target sports USA participants use lightweight shells in their shotgun shooting competitions. That is because they don’t want to exhaust their arms and shoulders with heavy loads that have powerful recoil. Learn from the experts, and avoid heavy ammo, if possible. 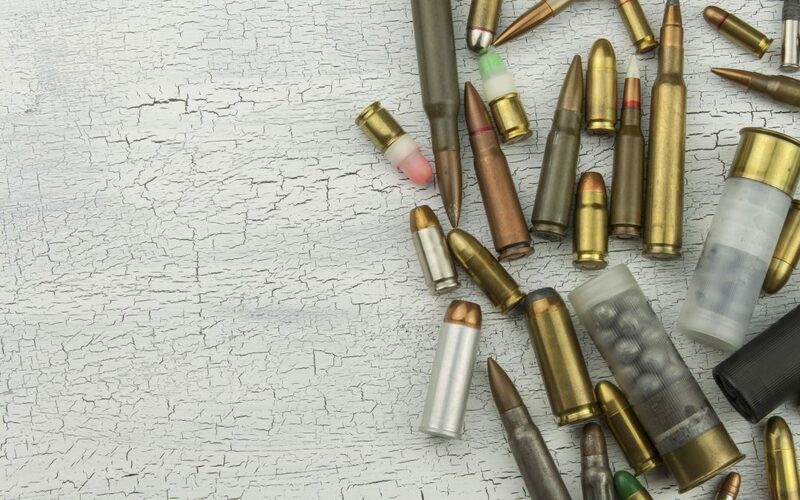 With these considerations, choosing the right target ammunition doesn’t have to be daunting. Once you know what you need, you will be able to pick the best one instinctively. If you have to forget everything you learned from this read, hold onto the fact that your target ammo should always be lightweight. If you go for lightweight rounds, most – if not all – of these considerations will be well taken care of. Remember, the right target ammunition is just as important as the right gun. So choose wisely!